We serve SERIOUS TEA the traditional way in a Chinese Gaiwan. 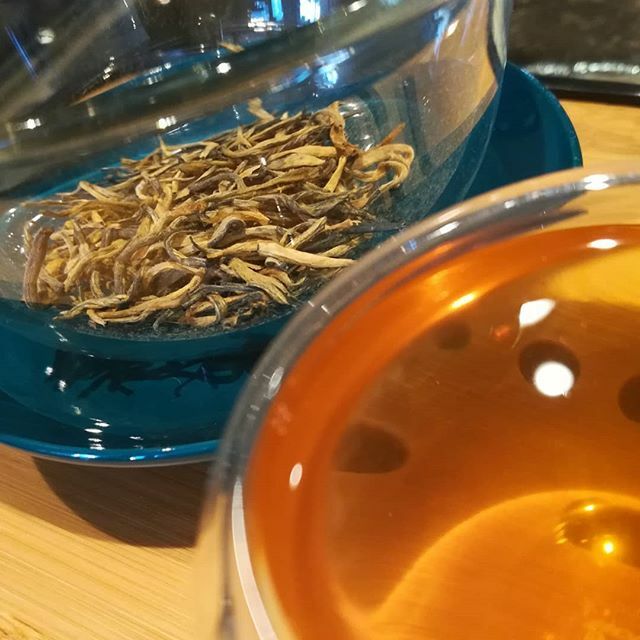 Our GOLD THREAD RESERVE from Red Blossom Tea is a vibrant black from Yunnan Province, an region ancient for tea. The leaves are brilliant gold and the resulting brew is smooth and complex with nice body. Expect to taste notes of orange and maple-sweetness–it certainly doesn’t need milk or sugar. Gold Thread Reserve is perfect with a crisp dark chocolate, such as I’x Jaguar.